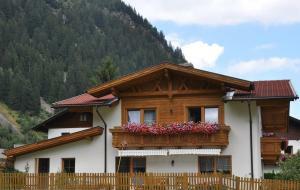 Stubai Apartment price per day from € 40 Stubai Apartment is 2 km from the centre of Neustift in the Stubai Valley and offers a spacious apartment on the first floor with free WiFi and a balcony offering panoramic mountain views. Fresh bread rolls can be delivered every morning, whilst a restaurant is 300 metres away. Aparthotel Rosmarin price per day from € 100 Surrounded by the impressive mountains of the Stubai Alps, Aparthotel Rosmarin is only a 3-minute walk from Neustift’s village square and the ski bus to the Stubai Glacier. The traditionally furnished apartments feature fully equipped kitchens, a balcony, and free Wi-Fi. Apartment House Kartnaller price per day from € 55 Located in the village of Milders near Neustift in the Stubai Valley,Gästehaus Kartnaller offers apartments with a balcony and mountain views. Fresh bread rolls are delivered to the apartments every day. A cross-country ski run is directly opposite Gästehaus Kartnaller, and an illuminated toboggan run is 2 km away..
Aparthaus Camping Stubai price per day from € 51 Surrounded by the Stubai Alps, 450 metres from the Elfer Ski Lifts, Aparthaus Camping Stubai in Neustift features a hot tub, sauna, and steam bath. All apartments have a balcony, satellite TV and a sofa. Haus Grießer Haus Grießer is a 3-minute drive away from the centre of Neustift im Stubaital and the Elferbergbahn Cable Car, offering apartments with mountain-view balconies and free WiFi access. The Freizeitzentrum Neustift Public Indoor Pool is 3 km away. Appartementhaus Bergfrieden Featuring a terrace and a balcony with mountain views, Appartementhaus Bergfrieden is located 3 km from the centre of Neustift im Stubaital and the Elferbergbahn Cable Car, and 14 km from the Stubai Glacier Ski Area. 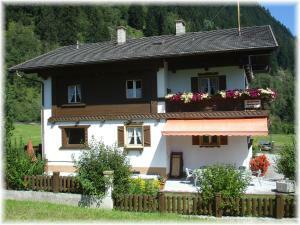 There are well-equipped kitchens with dishwasher and microwave..
Ferienhaus Aurikel In a central location of Neustift im Stubaital and 15 km from the Stubai Glacier Ski Area, Ferienhaus Aurikel is a holiday home with a balcony, mountain views and free WiFi. The house has 4 bedrooms and is fitted with a fully equipped kitchen with dishwasher, microwave and dining area, a sofa, a flat-screen TV with satellite channels, and 2 bathrooms with shower. Peaceful accommodation, 110 square meters, recommended by travellers ! Landhaus Wildes Wasser price per day from € 77 At an altitude of 1127 metres above sea level, Landhaus Wildes Wasser enjoys a peaceful location, a 20-minute drive from the Stubaier Gletscher Ski Area. It features a garden with a sun terrace and barbecue facilities. 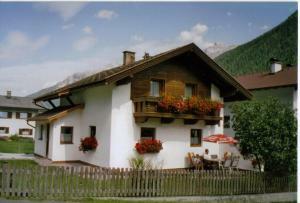 The facilities include a fully equipped kitchen with a dishwasher and a private bathroom with a shower..
Ferienheim Gasteig price per day from € 45 Located 6 km from the centre of Neustift im Stubaital, 6 km from the 11er Lifte Ski Area, Ferienheim Gasteig offers fully equipped apartments. Free Wi-Fi is provided in the entire building and free private parking is possible on site. From end of May to mid-October, the Stubai Super Card is included in the rate..
Schöpfhof price per day from € 88 Schöpfhof is located 3 km from Neustift town centre, the Elfer Lifte ski area, toboggan runs, and indoor and outdoor pool and the Neustift leisure centre. The Schöpfhof apartment has a double bedroom, and a bedroom with a double bed and a single bed. Jedelerhof price per day from € 52 The Jedelerhof in Neustift in the Stubai Valley offers apartments with a balcony or terrace and panoramic views of the surrounding mountains and Kamplersee Lake. All have a living room, kitchen, and bathroom, and WiFi is available free of charge. Lamb, various lamb products, apple juice, vegetables and other Jedelerhof products can be bought there..
Alpenchalet Vital price per day from € 54 Located a 5-minute drive from Neustift im Stubaital, Alpenchalet Vital includes a free Wi-Fi and a wellness area with a tea bar. Fresh bread rolls can be delivered to your room every morning, on request. A free mountain bike hire is offered on site as a way to explore the surrounding area.. Ski resort Achenkirch, recommended ski resort for beginners. 54 km from town of Neustift Im Stubaital. Ski resort Alpbach, altitude: 1000m. 57 km from town of Neustift Im Stubaital. Ski resort Angerberg, number of ski pistes: 2. 70 km from town of Neustift Im Stubaital.